Have you placed your new catalog order? Some of you have, some of you haven't, what are you waiting for? Todays post was a bit of a challenge for myself. I took a favorite design and refreshed it with new product. I am pleased with it and hope you will be too. If you live in Colorado Springs on June 15th I will attending a Girls Night Out at Rock's Bar on Academy Rd. I will have a booth there and an opportunity for you to see the new products, sign up for a stamp class. Come and make a card! PS: I am looking for some team members to join me on my creative journey. 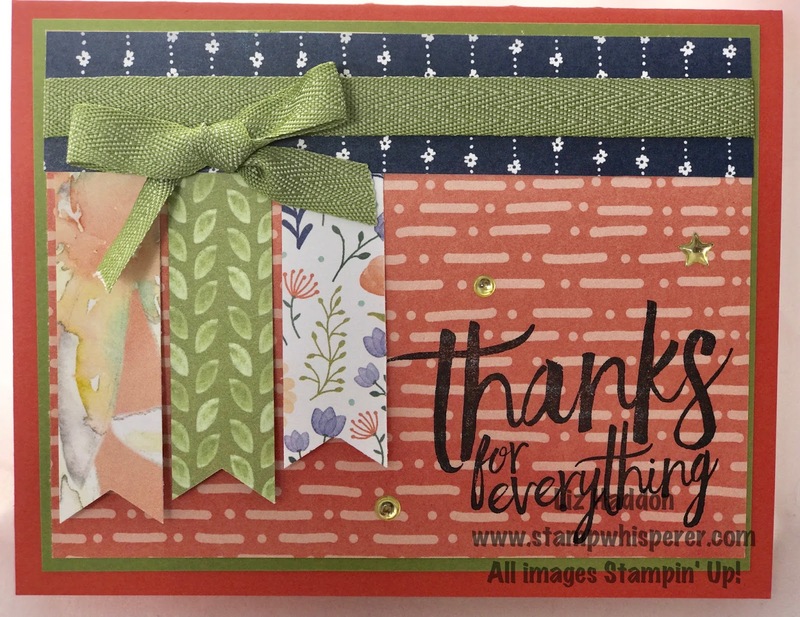 Are you interested in joining Stampin' Up!? You can get discounts on your hobby or you can make money as a career. Ask me about the benefits.